TOOLS: F10 Foundation Brush, F11 Stippling Brush, F12 Powder Brush, E12 Brow-Eye Definer Brush, E14 Lash/Brow Brush, E11 Contouring Eyeshadow Brush, E10 Blending Eye Brush, Manicare Eyelash Curler. PRODUCTS: Foundation, concealer one shade lighter than your skin tone, brow powder or wax, loose powder, blush, a soft and a darker eyeshadow shade, a light shimmer eyeshadow or highlighter, mascara, lipstick or lipgloss. 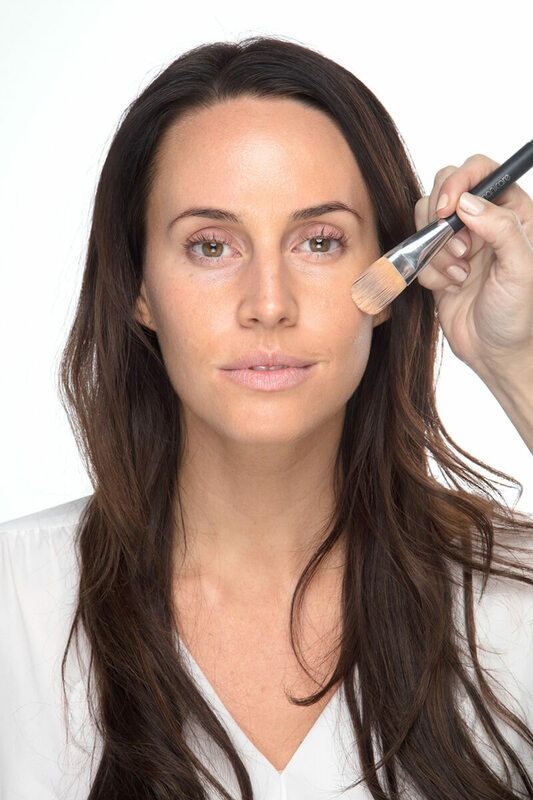 Lightly apply foundation using the Manicare F10 Foundation Brush. 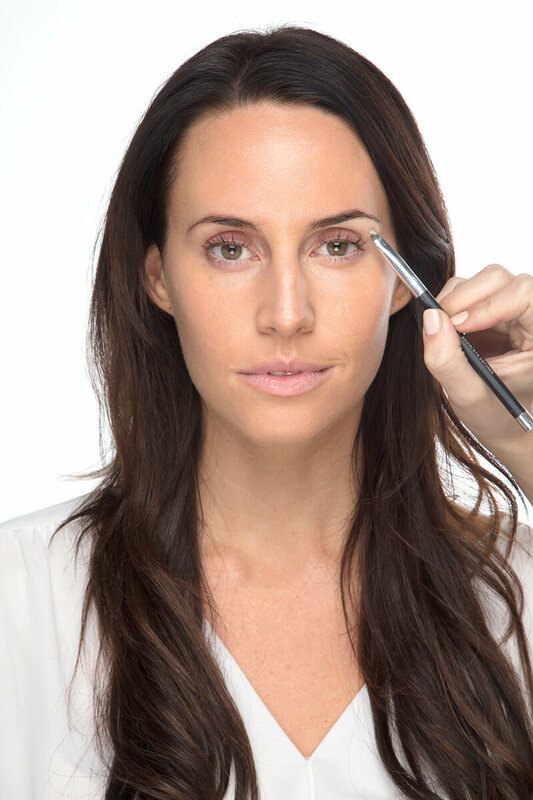 Conceal any blemishes or dark circles using the Manicare E12 Brow-Eye Definer Brush, apply the same product all over the eyelid and under the brow, this way the eye makeup will last longer and you start giving definition to the brows. 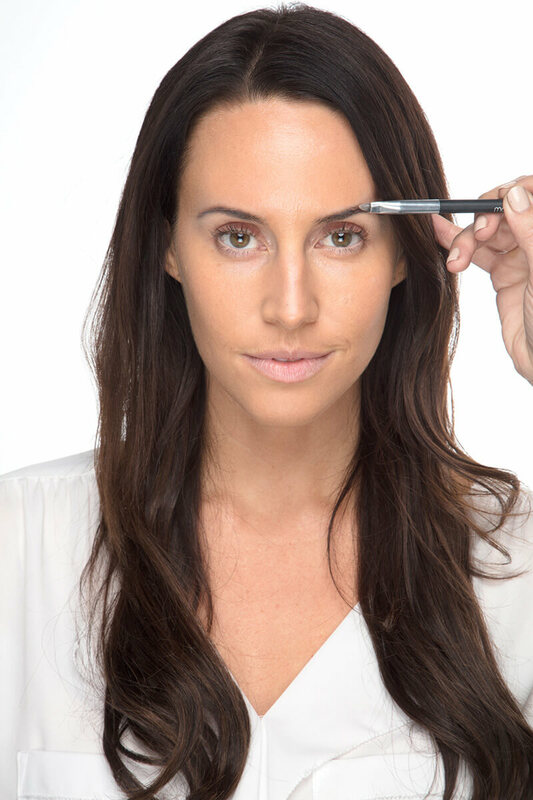 Comb the brows upward using Manicare E14 Lash/Brow Brush and fill any gap using your E12 Brow-Eye Definer Brush. Powder lightly using the Manicare F11 Stippling Brush. 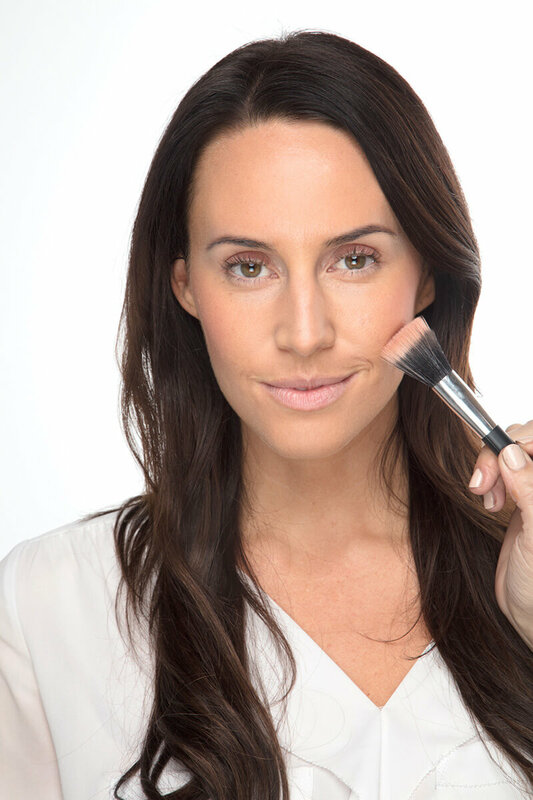 Choose a soft shade of blush for the apple of the cheeks with your F11 Stippling Brush. 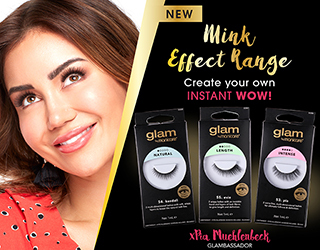 With a darker shade of eyeshadow and your Manicare E11 Contouring Eyeshadow Brush apply a darker shade on the outside corner and under the lower lash line. 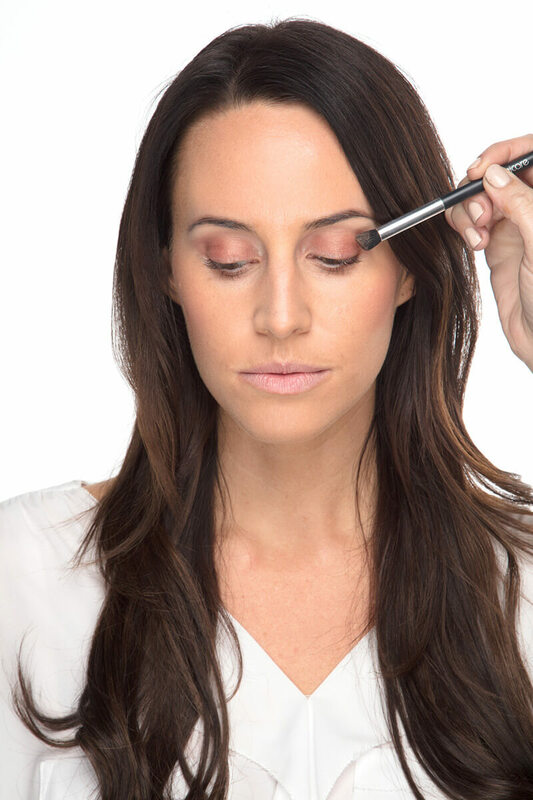 Blend with your E10 Blending Eye Brush on the eyelid and E13 Smudge Brush under the eyes. 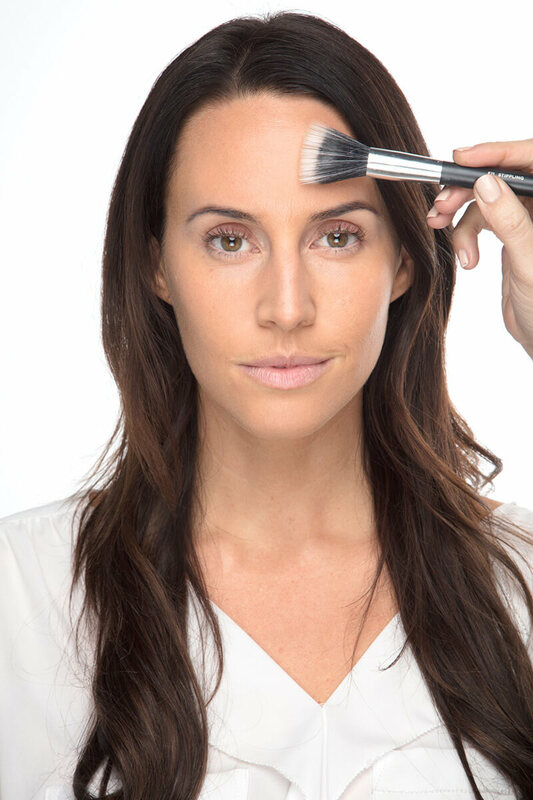 Apply a light shimmer shade on the inner part of the eyes with your E12 Brow-Eye Definer Brush, use the same shade as an highlighter and apply on the top of your cheekbones with your F11 Stippling Brush. 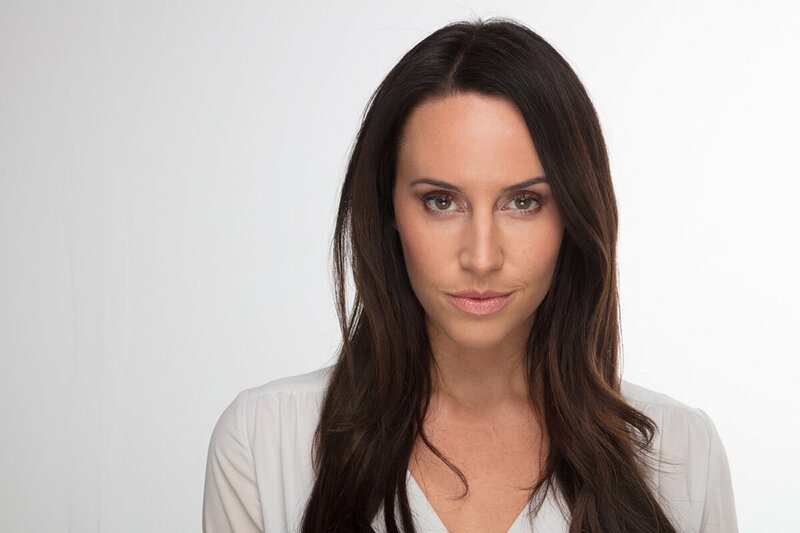 Coat the lashes with mascara and finish the look with a natural shade of gloss or lipstick. Powder lightly using the F11 Stippling Brush. 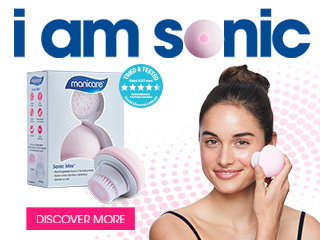 Choose a soft shade of blush for the apple of the cheeks with your Manicare F11 Stippling Brush. 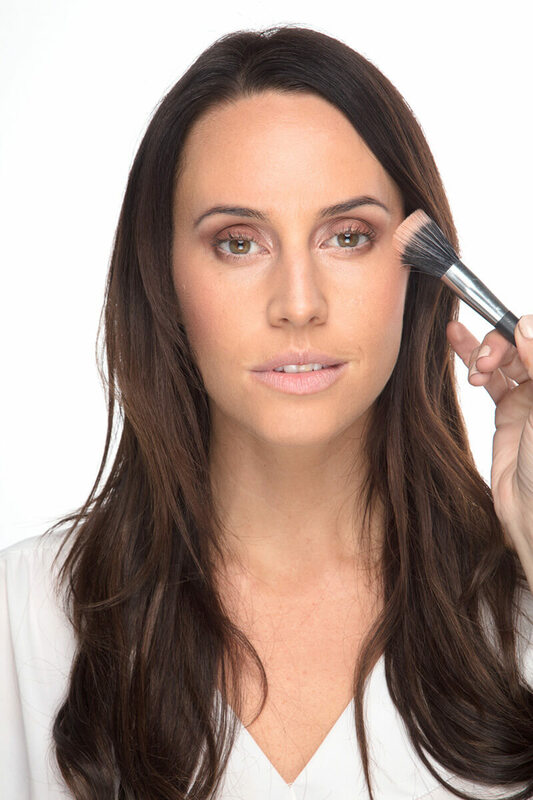 Apply a light shimmer shade on the inner part of the eyes with your Manicare E12 Brow-Eye Definer Brush, use the same shade as an highlighter and apply on the top of your cheekbones with your F11 Stippling Brush.